It’s safe to say, that even 45 years after her death, Phyllis Nicklin has been integral to the success of Brumpic. The stunning, colour photographs she took of Birmingham during the 1950s and 60s are often the most engaged-with images that we share. They are visually stunning and of huge historical importance; Nicklin’s work – to this day – stands its ground with that of many of her contemporary’s such as Vivian Maier and Fan Ho. Brumpic approached the University of Birmingham in October 2014 to seek permission to use a number of the Nicklin images for an article in the Birmingham Post. The permission was very kindly granted and away we went to choose 12 images from the existing digitised archive of 446 images (they can be viewed at www.epapers.bham.ac.uk). The article was released in December and all parties were pleased with the result. 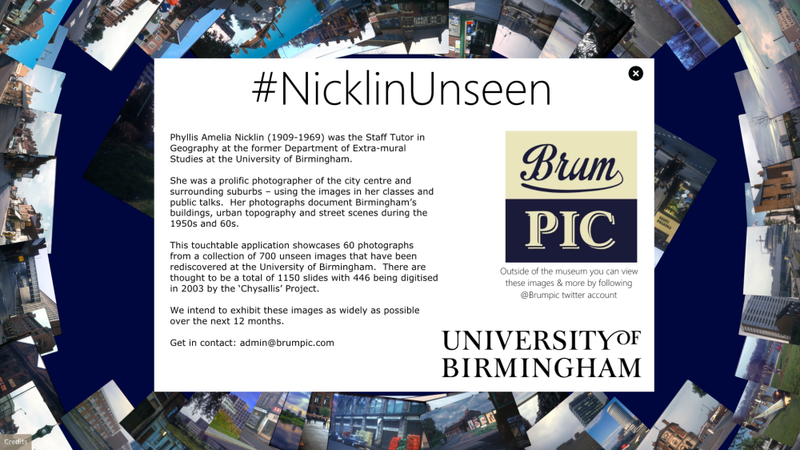 The University made contact with Brumpic again in December 2014 to make us aware that there were a large number of 35mm slides in a filing cabinet on the Selly Oak Campus, and that there may be further unseen Nicklin images within that filing cabinet. After a brief viewing of the slides, our hopes were realised. 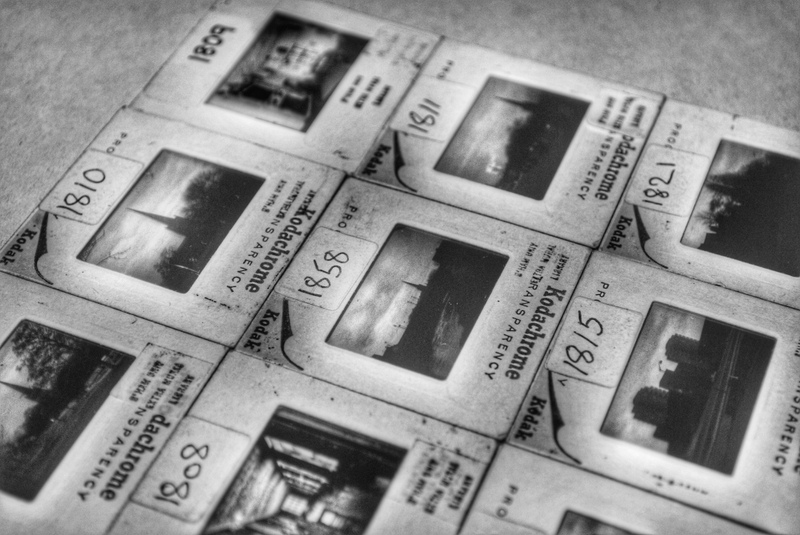 The initial sorting of the slides reveals that there are approximately 1100 slides and over 600 of these remain unseen by the general public. 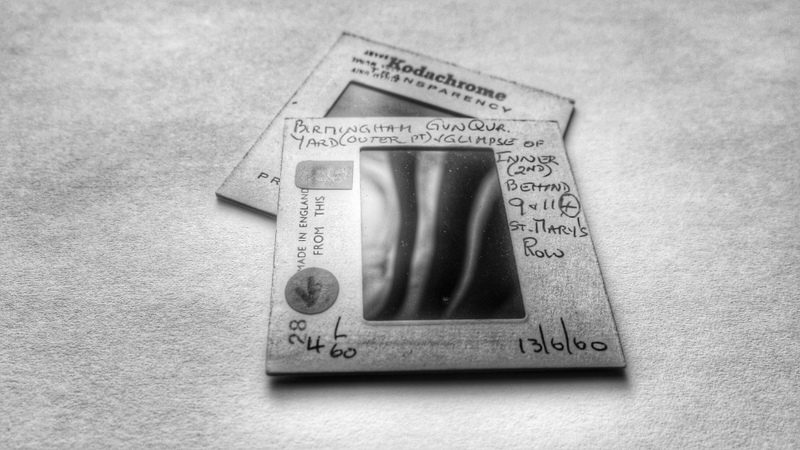 So now, in collaboration with the University, Brumpic have begun the task of scanning the 35mm slides. Phyllis Nicklin is an enigma. Little is known about her – no images of her appear to exist – and we don’t know why she decided to take the photographic images she did, or indeed the equipment she used to do this. We do know one thing for certain though, she has bequeathed us with a stunning visual photographic legacy of Birmingham and for that we are exceedingly grateful. Life would have been difficult, living through the country’s great depression and seeing the outbreak of World War 2. Local electoral roles show that following the death of her husband, Amelia and the children would move from Link Road, into Gillott Street where they would live with Amelia’s own widowed mother, Elizabeth. As the family grew up, Harold would marry and leave the area, however Phyllis would remain living in Birmingham with her mother until they both sadly died in 1969. Amelia Jane Nickin died on the 17th June 1969 at her home, 16 Middle Park Road, Selly Oak. Phyllis would be the official witness to her mother’s death, and would sadly pass away herself months later on the 18th November at the Queen Elizabeth Hospital. Phyllis Nicklin was a graduate and postgraduate of the University of Birmingham, and was a temporary lecturer at Nottingham University during World War II. She then pursued a career in teaching and teacher training before being appointed staff tutor in Geography at the extra-mural department at the University of Birmingham. What resonates the most with us about this collection is its simplicity and it’s honesty. Taken over a 16 year period, many of the images capture the beginning of the social housing revolution and the great changes taking place in Birmingham during this period. Nicklin, though, was clearly not an amateur photographer. Many of the subjects she chose to photograph must have been seen as mundane at the time she was taking them, however the composition of many of her images is extraordinary. These images would have been used to aid Nicklin’s teaching at the University and she couldn’t have imagined how significant her work would become in future years. It’s the intention of Brumpic to celebrate the work of Phyllis Nicklin as widely as possible over the next 12 months. We will be working with a number of key partners to ensure that the largest audience possible is reached and that she gains the recognition she fully deserves. A number of the unseen images can be viewed on the Brumpic interactive table within the Birmingham History Gallery at Birmingham Museum and Art Gallery between the 2nd – 18th April 2015. A major exhibition is planned for the Autumn.